The globe has recently been victim to a high profile case of computer hacking, with a number of viruses planted on people’s computers. According to the US Justice Department, the latest email and Internet security threat obtained customer banking information, leading to the theft of over $100 billion from businesses and other consumers. On June 3rd 2014, Aljazeera.com, along with a number of other news establishments, reported that US authorities are on the trail of Russian computer hacker Evgenly Bogacgev. Mr Bogacgev used a highly sophisticated scheme and used criminals in Russia, Ukraine and the United Kingdom, according to prosecutors. 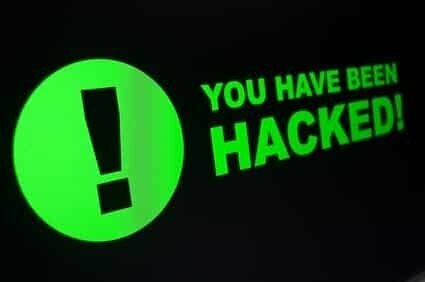 It was revealed that between 500,000 and 1,000,000 computers were attacked, using either “Gameover Zeus” (GoZ) software, or “Cryptolocker”. The former planted malicious software that stole bank account numbers and passwords, before stealing vast quantities of money from the victims’ bank account. The latter locked the users out of their own computer, while secretly encrypting files that were offered back as a ransom. It has been described by The Telegraph as “the biggest new threat to America’s banking system”, but the breach wasn’t just centralised to the US. In fact, the National Crime Agency has revealed, based on intelligence it has received, that some 15,500 computers in the UK are currently infected with one of these types of software, with a risk to many more devices still present. In many cases, people are unaware their computer has even been breached. Not only is the threat still present for personal users, it is also a concern for a number of businesses in the UK and worldwide. This is why it is vital that proper security is in place to deal with online attacks, malware and malicious software. For businesses, especially those that utilise the benefits of BYOD (bring your own device) schemes, it can be a challenge to implement company-wide security policies. This is why investing in a comprehensive email management and security system is the best way to mitigate the risks of unwarranted files being sent to staff. Not only does this activity threaten their personal information, it could also put the whole company at risk. Mimecast email security, for example, is just one way to provide protection against the increasing range of email threats. Providing a comprehensive, cloud-based service for emails and other important files and documents, you can cut the cost and complexity of company-wide security systems that are based on an internal server. It is vitally important that businesses use a high-quality online security system, as failure to do so could lead to huge financial and reputational problems in the future. Imagine the damage that could be caused if you were to lose a customer’s bank details or other private information. Using a service that protects against inbound and outbound email threats will help to stop this from happening. With online hackers becoming more and more sophisticated, keeping up with the latest virus definitions can be especially tricky. Therefore, it is not worth taking the chance on a sub-par online security programme.